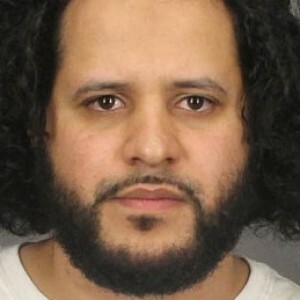 ROCHESTER, N.Y. — A Yemen-born man living in New York is among the latest being charged with aiding the Islamic terrorist group ISIS, or the Islamic State of Iraq and Syria, and is scheduled to be arraigned Thursday in federal court. Mufid Elfgeeh, 30, has been leveled with a seven-count indictment via a grand jury in Rochester. The alleged ISIS supporter who ran a halal food market in the city, is facing weapons charges, as well as counts surrounding plans to murder members of the U.S. military. According to reports, Elfgeeh attempted to purchase guns from (unbeknownst to him) undercover FBI agents, and worked to assist three individuals—two of whom worked for the FBI—to travel to Syria, where they could join ISIS. The men would “operate a cannon, act as a sniper and/or build bombs.” Elfgeeh traveled with one of the FBI agents to Buffalo in April to help him obtain a passport. The handguns were likewise to be used to kill Shia Muslims in the Rochester area. Elfgeeh was arrested in May following a sting operation, and now faces three counts of providing material support to ISIS, which carry a maximum of 15 years in prison for each count. He also is accused of attempted murder as a part of the seven-count indictment, which if found guilty, could add another 20 years to his time behind bars. Elfgeeh had been under investigation since last year after unidentified informants tipped off the FBI as Elfgeeh had been posting anti-American comments on social media. Last week, Colorado teen Shannon Conley, 19, plead guilty to a charge of conspiracy to assist ISIS after her father turned her into authorities when he found a one-way ticket to Turkey in her possession. As part of a plea deal, she faces five years in prison and a $250,000 fine. Yahoo News! reports that 23-year-old Michael Todd Wolfe also plead guilty in June after he was nabbed at the George Bush Intercontinental Airport in Houston, where he was seeking to fly to Denmark and then on to Syria to join ISIS. He faces a maximum of 15 years behind bars and a $250,000 fine. Rahatul Ashikim Khan, also 23 and a student at the University of Texas at Austin, was arrested the same month for conspiring with others to recruit individuals to travel overseas to work with terrorist organizations and wage jihad. Investigators state that Khan remarked that he “could not wait to spill blood.” He faces the same penalties as Wolfe.